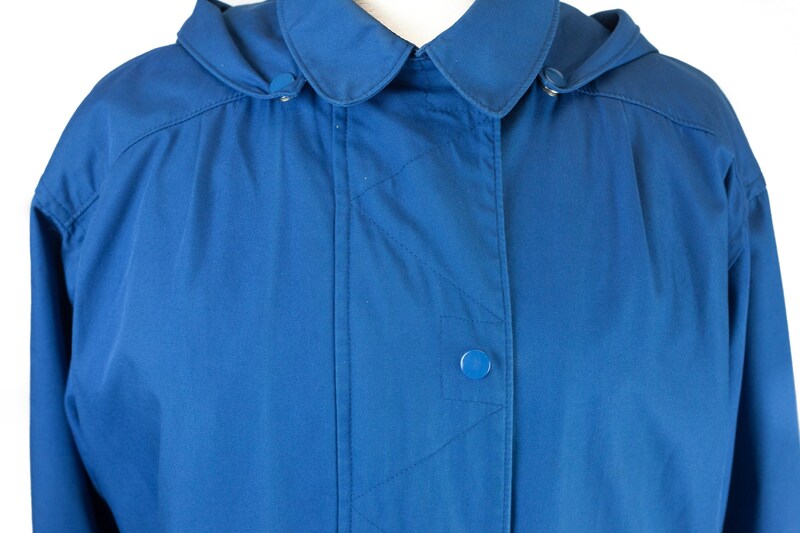 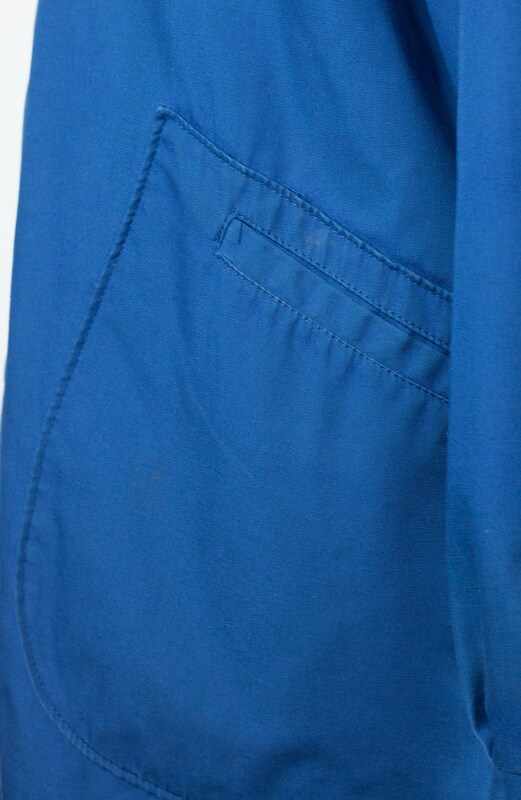 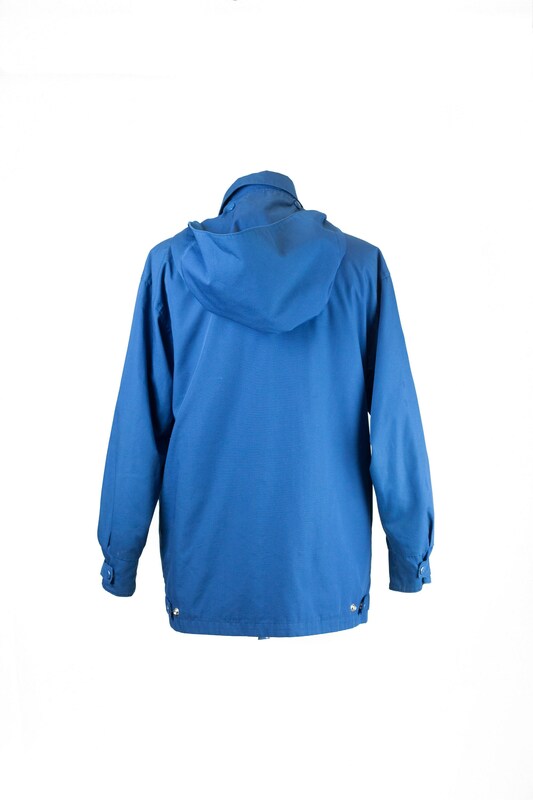 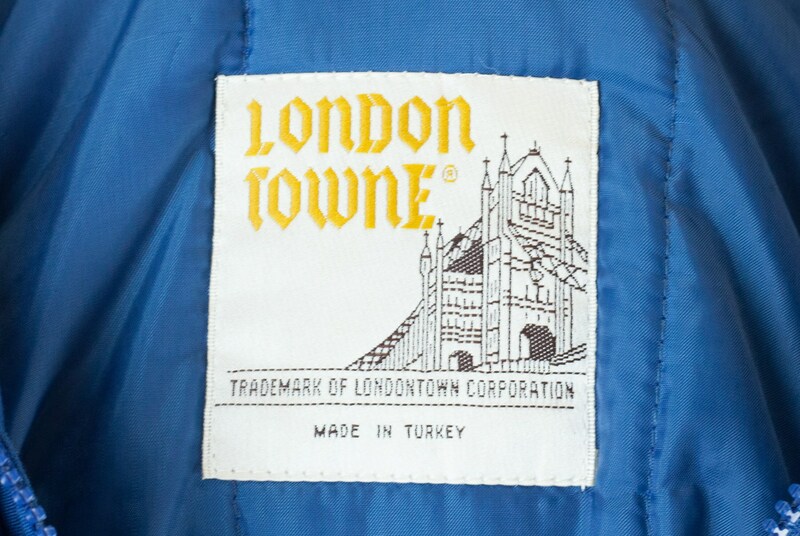 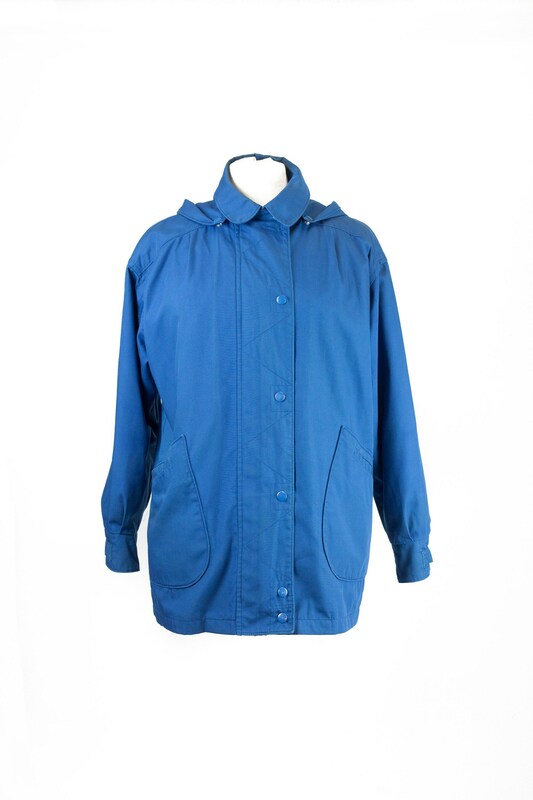 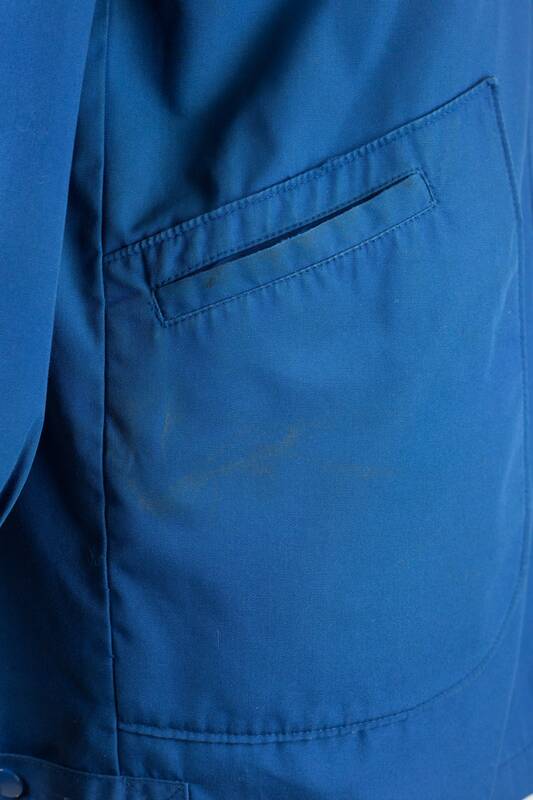 Classic solid blue zip and snap closure lined coat by London Towne. 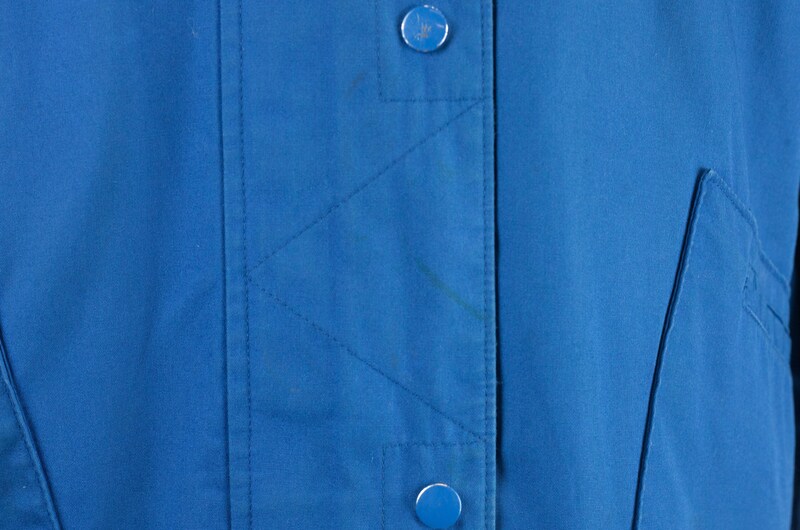 Item is in good vintage condition with a couple small black spots shown in photo #3. 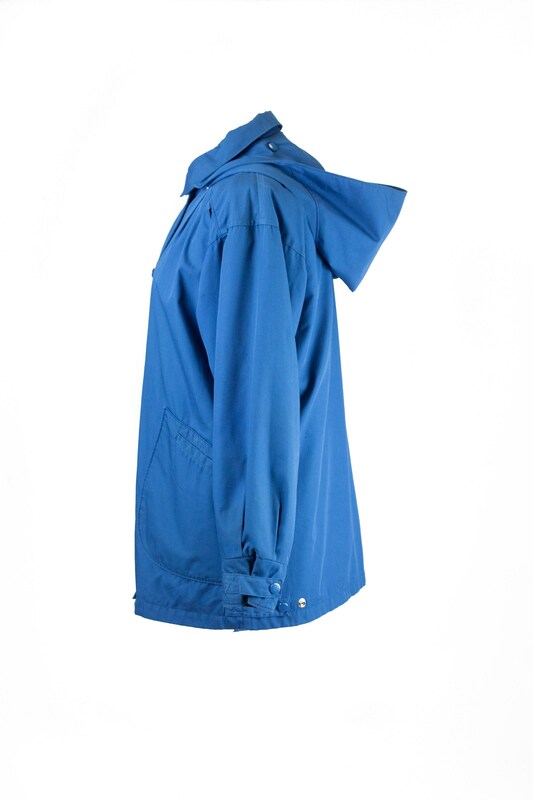 This coat will e a great go-to for Fall/light Winter.